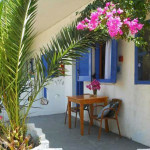 Hotel Ammos is situated just 60 meters from the beach of Magazia. 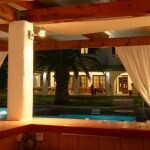 It offers an open-air swimming pool surrounded by sun loungers on a magnificent terrace. 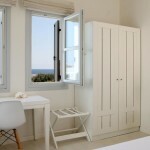 It offers elegant rooms looking over the garden and the sea. 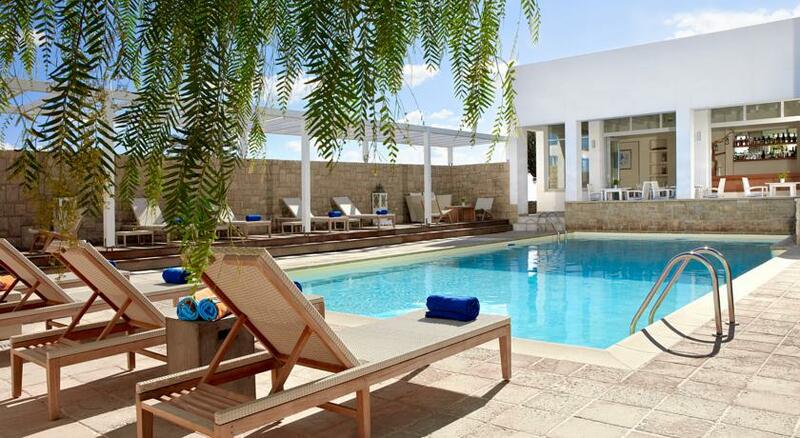 From the pool, the view to the castle and the monastery of Saint George is spectacular, drinks and light snacks are served up at the pool bar. 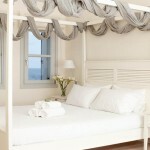 Each room have high ceilings and are decorated in white tones. 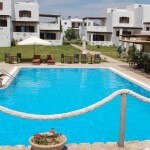 Each one has air conditioning, flat screen TV with satellite channels and a mini bar. 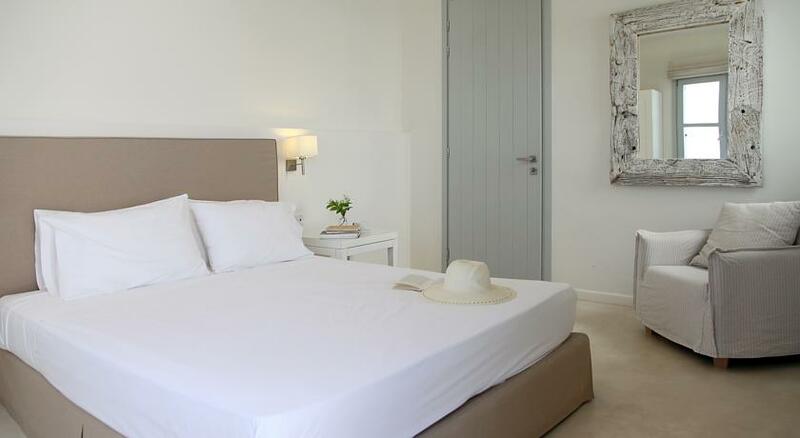 All rooms have their own private entrance and each room has a balcony or a terrace with amazing views, and some are split level. There is also hairdryers and designer toiletries available in a modern bathroom. 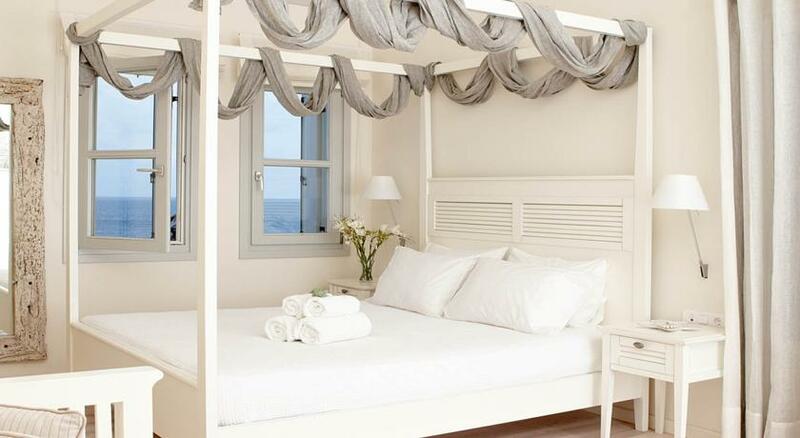 Ammos Hotel has 21 rooms, each one with a different design that can accommodate 2-4 people. Traditional breakfast is served with fresh local produce, including homemade jams, cakes, pies, local cheeses and honey, offering the ultimate in hospitality. 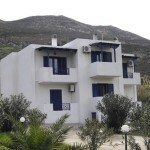 Skyros is an excellent holiday holiday destination with wonderful scenery and amazing beaches all around the island which offers an unforgettable holiday vacation. 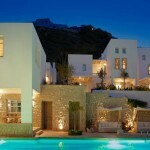 The seaside villages, Magazia and Molos are the most in-demand getaways on the island. 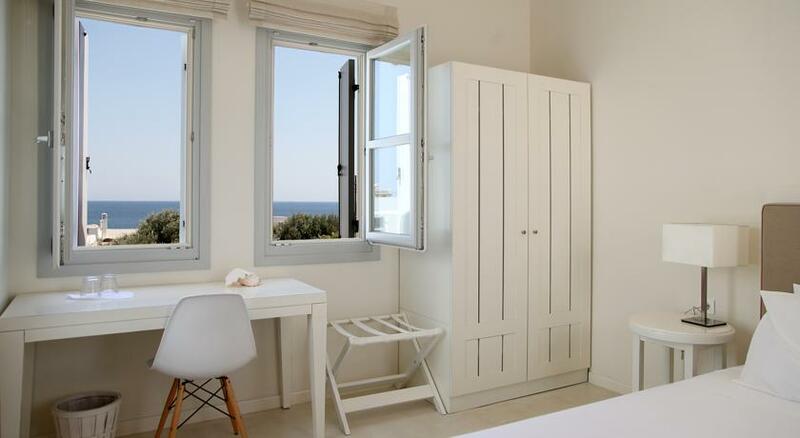 Nearby the villages and within walking distance towards the edge of a small cape with a beautiful windmill is the area of Pouri having an ancient limestone quarries and also the beach of Gyrismata. 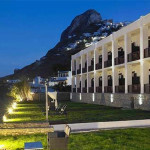 Ammos Hotel is situated 11 kilometers from the port of Skyros Linaria and a 15 minutes stroll from the capital town of Chora. 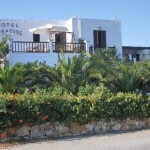 The nearest tavernas and cafes are just 50 meters away from the hotel on the sea front. Free parking is available nearby. 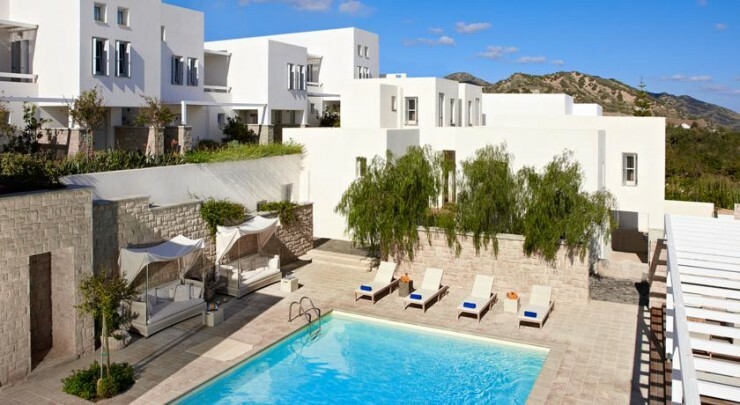 If you would like to read some reviews of the Ammos Hotel by guests who have actually stayed there, simply click the link below and read about some experiences of guests who have stayed there.